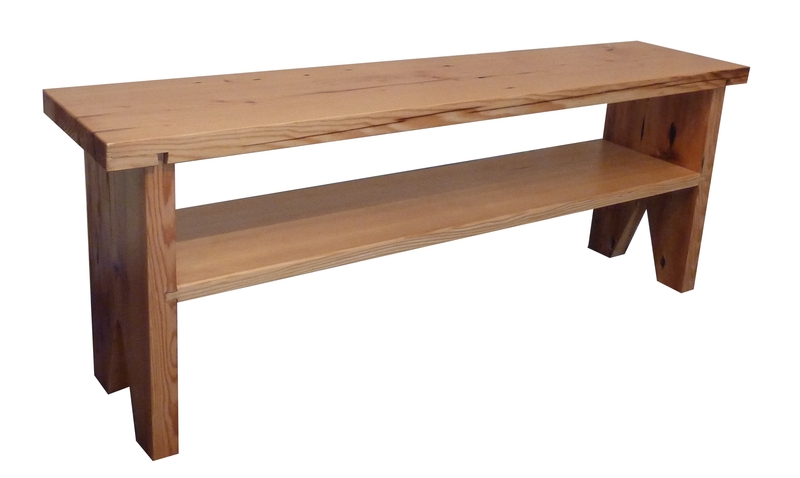 “Bench Coffee Table”; 48″ x 11″ x 18″; reclaimed fir; 2011; Meg Thompson. This piece makes for a great coffee table in narrow spaces, or a bench. It is made from reclaimed old growth construction fir.